"...pathologies often help policy makers justify action at times when no vital, tangible interests are otherwise at stake. When pathology defines reality, policies become the opposite of what rational analyses of national interest would suggest is appropriate." "[Soviet leaders] have openly and publicly declared that the only morality they recognize is what will further their cause, meaning they reserve unto themselves the right to commit any crime, to lie, to cheat, in order to attain that, and that is moral, not immoral, and we operate on a different set of standards, I think when you do business with them, even at a detente, you keep that in mind." "We don't really know what it means, but I for sure don't trust the Iranians. It's some kind of a ruse and whatever they are up to, it's no good." 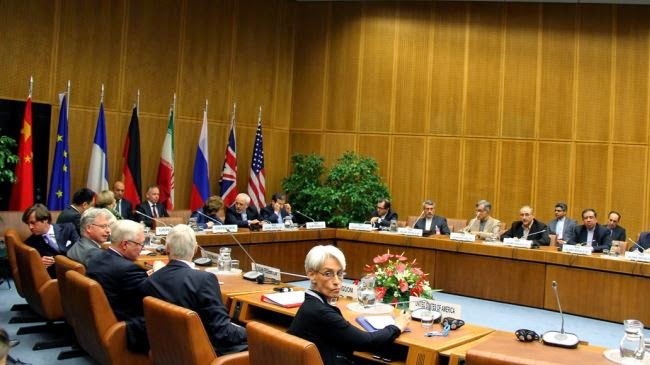 Nuclear talks between six world powers (Britain, China, France, Russia, the United States, and Germany - known as the P5+1) and Iran have hit the homestretch this summer, with a comprehensive and final agreement expected by July 20. It'll be a tough slog for sure - with competing interests, false narratives, and plenty of propaganda at play - but a recent comment by an official close to the talks is cause for optimism. For as long as one can remember, and certainly as long as the Islamic Republic of Iran has existed - 35 years now - and engaged with sporadic negotiations with the United States over various issues, Western perceptions of Iranian interlocutors and their leaders have been consistently defined by Orientalist stereotypes. Chief among these, perhaps, is that Iranians simply are not to be trusted due to their inherently devious "Persian psyche" and genetic predisposition to a "bazaar mentality" of shifty rug merchants and ancient masters of duplicity and deception. Therefore, it follows, diplomacy is futile and force inevitable. A confidential cable, sent by two American diplomats from the U.S. Embassy in Tehran in the turbulent aftermath of the 1979 Iranian revolution, analyzed "the underlying cultural and psychological qualities" of their Iranian counterparts in the nascent Islamic government, noting "the so-called 'bazaar mentality' so common among Persians." The August 13, 1979 cable warned that "one should be prepared for the threat of breakdown in negotiations at any given moment and not be cowed by this possibility. Given the Persian negotiator's cultural and psychological limitations, he is going to resist the very concept of a rational (from the Western point of view) negotiating process." This script has been dutifully followed ever since. For instance, in advance of proposed talks between the United States and Iran in 2006, former Secretary of State Warren Christopher wrote in the New York Times that "our negotiators should prepare themselves for what might be called 'bazaar behavior.'" He added that, unlike the straightforward Chinese, the Iranian "negotiating style is likely to resemble that of a Middle Eastern marketplace, with outlandish demands, feints at abandoning the process and haggling over minor details up to the very last moment." Before new negotiations in 2008, Fouad Ajami wrote in U.S. News and World Report that Washington officials were headed "Back to the Iranian Bazaar." 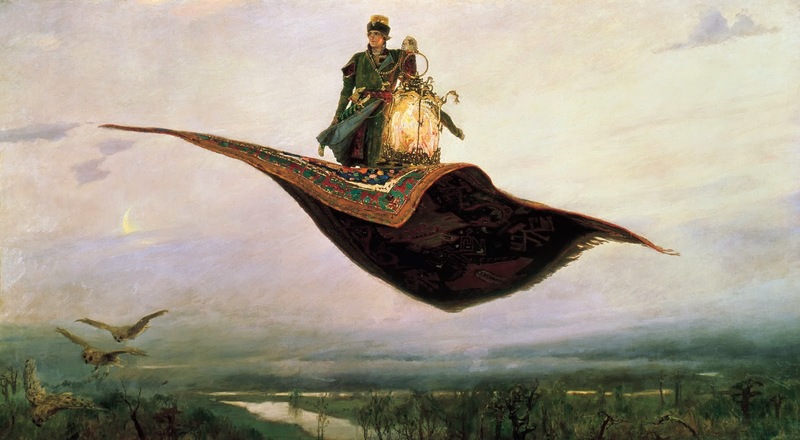 The next year, Washington Post columnist Richard Cohen declared, "These Persians lie like a rug." In 2010, Michael Adler wrote, "Stopping Iran from getting the bomb may require embracing a Middle East tradition: haggling over the price," in a Foreign Policy ;piece entitled, "The Nuclear Bazaar." Following the election of Hassan Rouhani, himself a former lead nuclear negotiator, as president of Iran, the reaction was swift: "Time to enter the Iranian bazaar on the nuclear issue," insisted David Peyman in the Jewish Journal on June 17, 2013, three days after the vote. That September, noting the recent change in tone by the Obama administration toward the Iranians and anticipating Rouhani's speech before the United Nations General Assembly, Israeli columnist Smadar Peri warned that the Americans may have been fooled by "a trick in the spirit of the Persian bazaar." Later that month, the Washington Post reported that "One [senior Israeli] official compared the Americans to tourists wandering into a Middle East bazaar. 'The Persians have been using these tactics for thousands of years, before America came to be.'" Meanwhile, New York Times columnist Roger Cohen described Iran as "a land where straight talk and virtue are not widely seen to overlap," and Florida Senator Marco Rubio called Iran "a country run by evil liars" during an October 3, 2013 meeting of the Senate Foreign Relations Committee. As negotiations progressed in early November 2013, Mark Dubowitz, executive director of the hawkish, pro-Israel Foundation for Defense of Democracies, told the New York Times that "the Obama administration has entered the Persian nuclear bazaar and gotten totally out negotiated" and the Daily Beast that it "sounds like Obama decided to enter the Persian nuclear bazaar to haggle with the masters of negotiation and has had his head handed to him." Similarly, according to Danielle Pletka of the American Enterprise Institute, the naive P5+1 is simply outmatched by the wily Persian snake charmers: "The world’s great bazaaris are chuckling because they've just sold their nuclear weapons program to the world's worst bargainers," she wrote in a post entitled, "Iran rips off the West in the nuclear bazaar." In mid-November, Chuck Freilich, a former officer in the Israeli military and senior analyst at Israel's Ministry of Defense, who is now a fellow at both Harvard and the AIPAC-affiliated Washington Institute for Near East Policy (WINEP), warned in The National Interest that Iran's "unprecedented charm offensive" and diplomatic posture following the inauguration of President Hassan Rouhani is a means by which the Iranians are "trying to take the international community on a Persian carpet ride." Days later, on November 19, 2013, TIME's Jerusalem bureau chief Karl Vick wrote, "Iranians are masters of what has been termed “Oriental indirection” — which amounts to not quite saying what you mean, but getting your point across in a range of subtle ways." Following the link provided by Vick, it becomes clear who has used this term before: Vick himself, in a column published two months earlier. On November 25, the day after the P5+1 signed an interim Joint Plan of Action with the Islamic Republic to much fanfare and optimism, an irate Eric Cantor, the House minority leader, bellowed, "Since when do we trust Iran?" adding that, in his expert opinion, "Iran has demonstrated again and again it cannot be trusted." Throughout the winter, commentators on the anti-negotiation, pro-war Right issued repeated appeals against trusting Iranian sincerity in the hopes of swaying public opinion away from diplomacy and toward military action. In December 2013, California Congressman Duncan Hunter told C-SPAN that Iranian negotiators are "not trustworthy," adding, "It is part of the Middle East culture [to] do anything you can... to get the best deal." In January 2014, Malcolm Hoenlein, the longtime head of the highly influential Conference of Presidents of Major American Jewish Organizations, spoke to the Israeli daily Ha'aretz about Iranian Foreign Minister Muhammad Javad Zarif, an outspoken proponent of the current nuclear talks. "He's a charming guy," Hoenlein said, "I don't dispute it. He's intelligent and clever. Iranian President Hassan Rohani is also clever." He then added: "But we forget: These guys have been 'bazaaris' [bazaar merchants] for 2,000 years, while we come in as novices. They can run circles around us. They know how to negotiate and how to manipulate every situation." With a positive atmosphere still surrounding the ongoing nuclear negotiations toward a final deal, Israeli Defense Minister Moshe Ya'alon voiced his government's dissatisfaction with the cooling of tensions and military threat in a speech at Tel Aviv University this past March. "We had thought the ones who should lead the campaign against Iran is the United States," he said. "But at some stage the United States entered into negotiations with them, and unhappily, when it comes to negotiating at a Persian bazaar, the Iranians were better." Just last week, Suzanne Maloney, a former State Department Iran adviser now with the Brookings Institution's Saban Center, opined, "Iranians are great negotiators — except sometimes they outwit themselves." Somebody has got to put a stop to this whole "Persian bazaar" rhetorical fixation. It's ridiculous, it's ethnically offensive, and its entire purpose is to serve as a smokescreen for disastrously violent policies backed by militarists in Israel and in neo-conservative American circles, by making American voters worry that they are being taken for chumps by those devilishly clever double-dealers from the souks of Tehran. One wonders: have any of these people attempted to negotiate with, say, Jamie Dimon or Mitch McConnell? Do they believe that cutthroat negotiators are more prevalent in the Middle East than in Manhattan or Washington? [W]e must resolve the questions surrounding Iran's nuclear program. The President has made it definitive--we will do what we must to prevent Iran from obtaining a nuclear weapon. I repeat here today: our policy is not containment. It is prevention and the clock is ticking on our efforts to secure responsible compliance. When it comes to preventing American bombs from dropping on Middle Easterners, the clock is always ticking and time is always running out. And, again, the accusations against Iran oftentimes mirror those made with Iraq. For years now, government officials and agenda-driven commentators have demanded that Iran be forced to confess to past weapons work and nefarious intent, despite the overwhelming evidence that no such work nor motivations ever existed. "The Iranians have a strategic choice to make," George W. Bush told reporters in December 2007. "They can come clean with the international community about the scope of their nuclear activities" and suspend their enrichment program, Bush declared, "or they can continue on a path of isolation." Never mind that, in 2003, the Associated Press revealed, "A confidential U.N. nuclear agency report has found 'no evidence' to back U.S. claims that Iran tried to make atomic arms," or that, in 2004, Reuters reported that "analysis of soil samples taken by U.N. inspectors at Lavizan, a site in Tehran that U.S. officials suspect may be linked to an atomic weapons program, shows no sign of nuclear activity." These findings have been consistent for years, and there has never been credible evidence showing Iran has, or has ever had, a nuclear weapons program. Furthermore, all of the outstanding issues that originally compelled the International Atomic Energy Agency to refer Iran's nuclear file to the UN Security Council have already been resolved in Iran's favor. Remaining allegations have never been proven authentic nor presented in full to Iran. Despite the fabricated claims of Iranian malfeasance and manufactured threat of weapons work that never happened, and the fact that Iran has fully complied with every aspect of the interim agreement with the P5+1, demands that Iran prove a negative and "come clean" about its nefarious past continue to proliferate. While challenges to a comprehensive deal abound, there is still hope. Last week, the Los Angeles Times reported that "Iran is easing a key demand in negotiations with world powers" - that all sanctions be lifted simultaneously, rather than gradually, upon the signing of an agreement - "boosting prospects for the top-priority agreement that diplomats are racing to finish within a month." But far more important was a rhetorical shift from the American side. Back in October 2013, when the Obama administration first embarked on a series of new negotiations with Iran, Deputy Secretary of State and lead U.S. negotiator Wendy Sherman appeared before the Senate Foreign Relations Committee. She urged Congress not to vote for a new round of unilateral sanctions, in favor of allowing diplomacy to progress without unnecessary provocation. During her testimony, Sherman tried to assuage suspicions over any alleged naiveté. Appealing to the traditional talking points about Persian perfidy, Sherman assured the Senators that, when it comes to the Iranians, "we know that deception is part of the DNA." When subsequently questioned by the press about her comments and the Iranian reaction to them, Sherman and other State Department officials offered vague justification, rather than a mea culpa. Chalking it up to a "misunderstanding," Sherman told Voice of America that "those words spoke to some deep mistrust that President Obama discussed, and that we have to really get over that mistrust. I think these nuclear negotiations will help us to do so." Such was the state of American political rhetoric at the time. After nine months of dedicated diplomacy, however, there's been a change. On June 20, on the sidelines of the most recent talks in Vienna, Sherman (anonymously) spoke to members of the international press about the state of the negotiations. During the briefing, one unidentified reporter noted that one of the Iranian negotiators is from the central Iranian city of Isfahan, adding, "And Isfahanis are known for their bargaining powers, particularly in the bazaar there, the merchants in bazaar. I just wondered whether you think you have entered that kind of an atmosphere in these talks." As far as Isfahan [goes], on my way here I watched the movie, "The Physician." For those of you who haven't seen it, it is about a young man from London who wants to go to Isfahan in the 15th century, because he has learned that's where you can go to become a doctor. And it's quite a fascinating movie. So I think Isfahan is known for many things, and I would hope that we are focused on the search for a solution, for a cure for this particular concern that we all have about the health of the world's security by ensuring that Iran cannot obtain a nuclear weapon and this program is exclusively peaceful. By acknowledging that Iran is not merely an Orientalist construct of marketplaces, mosques, and caravanserais, Sherman shifted the conversation from one of caricature to one of consideration, from rhetoric to respect, hysteria to humanity. It demonstrated that, by shirking stereotypes, the prospects for a diplomatic solution to decades of enmity was not only possible, but probable. This may have been just a small step for Sherman. But it was a giant leap toward breaking the propaganda. Attempting to navigate a field of international rivals, under close scrutiny on a world stage, and achieve multilateral recognition before the window of opportunity closes in mid-July, top-level representatives of the Islamic Republic of Iran have their work cut out for them this summer. While hopes for a positive outcome have waned of late, there is still time to turn things around. This is not about the nuclear negotiations that continue apace in Vienna. No, I'm referring, of course, to Team Melli, the Iranian national soccer team, and their performance in the 2014 FIFA World Cup. Following a lackluster outing against Nigeria this past week - which ended in a disappointing 0-0 draw, Iran faces by far its toughest competition Saturday afternoon at the Estádio Mineirão in Belo Horizonte, Brazil: the South American powerhouse and Group F favorite, Argentina. Team Melli has heart and some solid defense, but crucially lacks a strong offense and, more importantly, vital funding. It has been announced already that Carlos Queiroz will step down as Iran's coach following the World Cup due to "a lack of government financial backing." "Yes my connection will finish here at the World Cup," Queiroz told the press. "There was not support from the government - there has stopped being a genuine interest because of the financial situation." A number of recent reports have told the tale of an under-supported and under-appreciated national team suffering from an Iranian economy ravaged by international sanctions. Last week in Foreign Policy, John Duerden reported, "The Iranian Football Federation (IFF), the body that oversees all football activity in the country, has struggled to collect funds owed to it by international organizations due to a ban on financial transactions that were part of a tightened sanctions imposed by the EU and the United States in February 2012, which included expelling Iranian financial institutions from SWIFT, a global international banking system." Queiroz, who coached the Portuguese national team in the 2010 World Cup, has long been frustrated with the dearth of resources. "Those who think Iran's national team will be successful with only 14 days of preparation, are either crazy or are living in Disneyland," he said in May. This aggravation and embarrassment is shared by his players. "None of the promises turned into realities," Iran's captain Javad Nekounam told The National in May. "If we did not have good preparation games until the games start, there shouldn't be any expectations. Whatever happens, the authorities must be held responsible for the results." 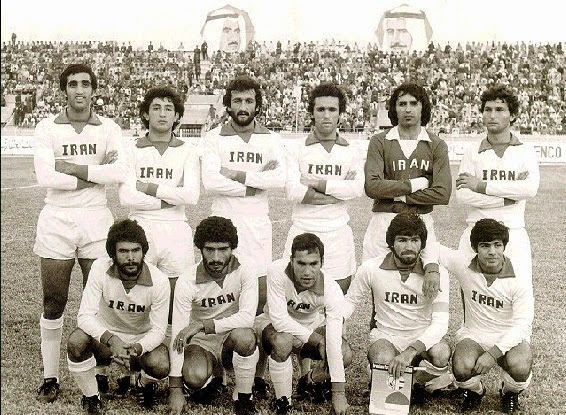 The Iranian Football Federation opted to order cheap, poor quality kits, and the federation’s president, Ali Kafashian, was reported to have told the players to wash them in cold water to avoid shrinkage. He also told players not to exchange shirts with opponents in Brazil, a common gesture of sportsmanship, as they do not have enough, Iranian media reported. The lack of money has similarly led to the cancellation of training camps and a failure to schedule important friendly matches in advance of the big dance. Iran only faced low-ranked teams such as Guinea, Belarus, and Montenegro before traveling to the Brazil this month, despite being Asia's best team and current champion. A 2-0 win over Trinidad and Tobago in Sao Paulo nevertheless boosted spirits before the World Cup kickoff. Now it's time for Team Melli to square off against Argentina and the brilliant Lionel Messi. A daunting task, for sure, but Iranians aren't known for being easily intimidated. 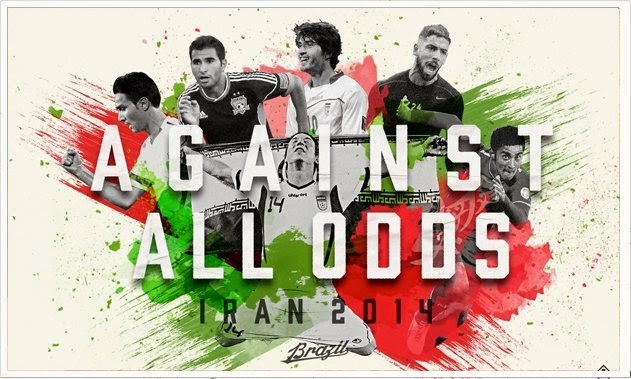 "It's the biggest game in the history of Iranian football," Queiroz told the Associated Press. "We have never played against such an outstanding team as Argentina. The players wouldn't change this for the world." He added, "I tell my boys, 'Try to find the net on the opposite side and when we have the ball, we go straight to them.'" As Costa Rica, Uruguay, and Chile have already proven, the World Cup is a time for upsets. 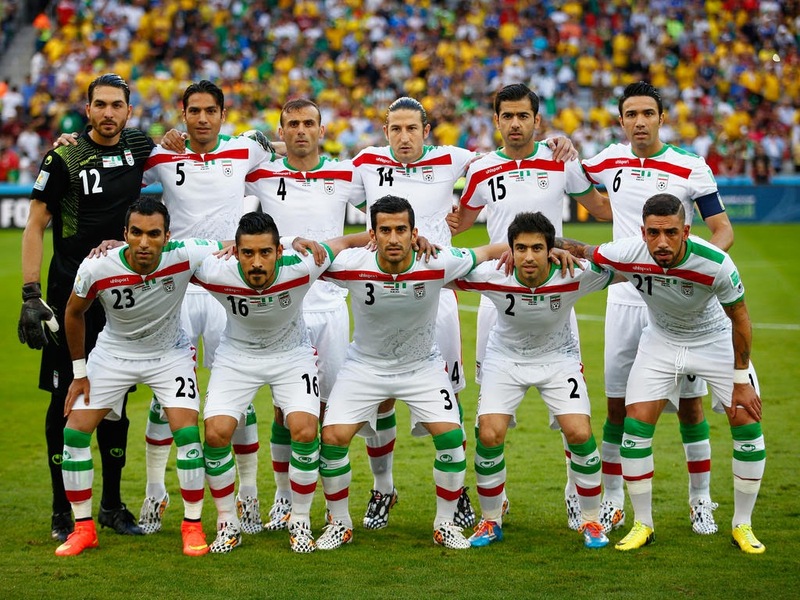 Your Middle East contributor Alborz Habibi has compiled a handy compendium of reasons to root for the Iranian underdogs, citing Team Melli's attractive squad, its ethnic and cultural diversity, and environmental awareness and advocacy, among others. While a trip to the knockout round may be a long shot, wishful thinking and a little faith go a long way. As diplomats work tirelessly in Vienna to end three-and-a-half decades of enmity between the United States and Iran, can history also be made on the pitch at Belo Horizonte? "Nothing is certain," notes Queiroz. "That's the beauty of this World Cup." It is indeed a beautiful game, and, with a stockpile of hope enriched with a heap of luck, there may yet be beautiful horizons ahead. Israeli Prime Minister Benjamin Netanyahu loves recycling dire warnings about Middle Eastern rivals acquiring nuclear weapons. He's been doing it for years. For as long as we can remember, Netanyahu has insisted that "time is running out" on preventing Iran from acquiring nuclear weapons, despite the fact that Iran has no nuclear weapons program. In July 2013, he declared that Iran is "getting closer and closer to the bomb." A few months before that, in a speech to the AIPAC, the leading Israel lobby in Washington, he said Iran "is running out the clock" and "has used negotiations, including the most recent ones, to buy time to press ahead with its nuclear program." 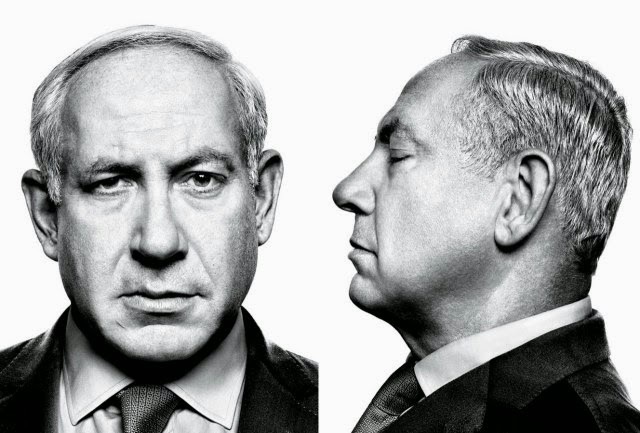 The year before that, in an interview with Fox News' Greta van Susteren, Netanyahu addressed his decade-and-a-half obsession, stating that a nuclear-armed Iran "was a lot further away 15 years ago when I started talking about it. It was a lot further away 10 years ago. It was a lot further away five years. It was a lot further away five months ago. They are getting there, and they are getting very, very close." In a nauseating speech before a Joint Session of Congress on May 24, 2011, Netanyahu said, "When I last stood here, I spoke of the consequences of Iran developing nuclear weapons. Now time is running out, the hinge of history may soon turn, for the greatest danger of all could soon be upon us: a militant Islamic regime armed with nuclear weapons." Netanyahu: The most dangerous of these regimes is Iran, that has wed a cruel despotism to a fanatic militancy. If this regime, or its despotic neighbor Iraq, were to acquire nuclear weapons, this could presage catastrophic consequences, not only for my country, and not only for the Middle East, but for all mankind. I believe the international community must reinvigorate its efforts to isolate these regimes, and prevent them from acquiring atomic power. The United States and Israel have been at the forefront of this effort, but we can and must do much more. Europe and the countries of Asia must be made to understand that it is folly, nothing short of folly, to pursue short-time material gain while creating a long-term existential danger for all of us. Only the United States can lead this vital international effort to stop the nuclearization of terrorist states. But the deadline for attaining this goal is getting extremely close. Sigh. Despite Netanyahu's constant visibility and years of repetition on this issue, he should not be credited with introducing it. A year before his 1996 speech to Congress, then-Israeli Prime Minister Yitzhak Rabin said much the same thing. Earlier this month, a freak sandstorm swept through Tehran, effectively shutting down the metropolis and tragically taking the lives of at least five people. Such an event might not seem like such an anomaly to those whose conception of Iran’s landscape resembles Lawrence of Arabia rather than reality. 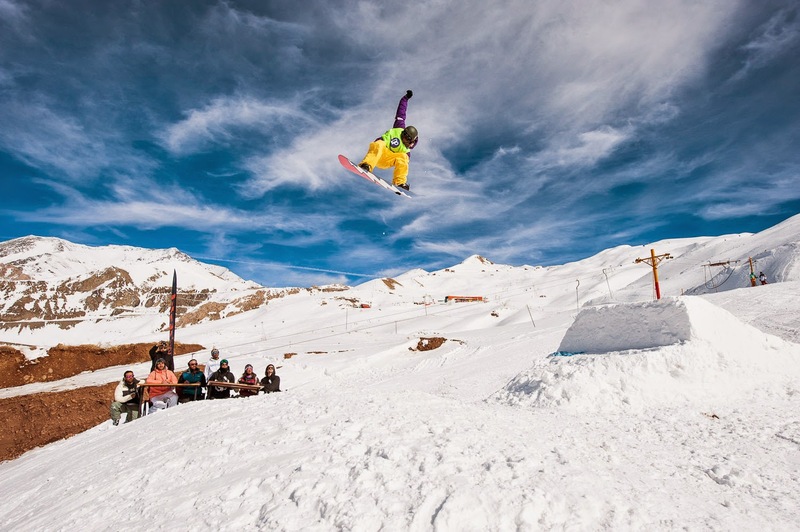 This past February, Tehran also experienced the largest snowfall the city had seen in half a century, with temperatures dipping to 19 degrees and seven feet of snow blanketing the ground. From snow-capped mountains and subtropical woodlands in the north to the arid central plain and lowland marshes of the southwest, Iran boasts a dazzling diversity of climates and ecosystems. Stretching from the Caspian Sea to the Persian Gulf, Iran is home to sandy beaches, the Great Salt Desert, a rainforest, and often – according to NASA – the single hottest place on Earth. Two recent videos posted online do an excellent job demonstrating the diverse beauty of Iran. Another recent video, posted by excellent, online Middle Eastern arts and culture magazine, Reorient, features a totally different side of Iran. This video highlights the contemporary culture and localities of Khuzestan, which, although have remained rooted in tradition, have also adapted to modern ways – a phenomenon common throughout much of Iran. Footage of the sights, sounds, food, and music were taken in Ahvaz, Abadan, Shush, and Shushtar, cities all located in Western Khuzestan. Not long ago, these cities were towns and villages; but, as many cities throughout the country have grown exponentially, so have those in Khuzestan, sprawling further out into the desert plain in the south, and the hills and mountains in the north.